A concussion is a type of traumatic brain injury. I didn’t know how life altering a concussion could be until I had mine due to a slip and fall accident Oct 18, 2011. Another Doctor referred me to Dr. Kimberly Rollheiser-Revilla. Dr. Kimberly took me under her wing like I was her only patient and my issues really mattered. Sometimes we’d cry together discussing the injury. I so appreciated her heart-felt reassurances that I would get my life back! She educated me about my condition and what types of modality she would use to correct my brain injury. Her dedication to Craniosacral Therapy, Kinesiology & Nutrition clearly showed her skills to be head and shoulders (pardon the pun) above traditional Chiropractors. Her gentle therapeutic approach touched me deeply and I often felt like an Angel was sent from above to guide me through the most horrific trauma I’ve ever experienced. 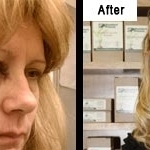 Dr. Kimberly & Dr. Russ became a perfect blend of treatment. When I was healthy enough, she had Dr. Russ come do adjustments ever so carefully. CHCC is definitely comprehensive…even their staff Kim & Danielle have the utmost of standards: Kind, Efficient & Understanding. I can not Thank Dr. Kimberly and & Dr. Russ enough for giving me my life back…when I went to my Neurologist last month, he said, due to their phenomenal treatment I would be 100 % by March, we beat that by over a month! My journey went from Frightening to Free…Free to Live Mentally and Physically Healthy again! Thank Heaven for MY Doctors, Dr. Kimberly & Dr. Russ! I was a mess. I was so dizzy that I couldn’t carry on a normal life. Forget driving, running errands, heck, even basic walking! All because of a little bump on the head. Actually, it turns out there is no such thing. The brain is very delicate and the least little thing can create unbelievable circumstances. I was jet skiing and the boat was going about 30 miles an hour. All of a sudden I lost my balance. I went over, hit my head against the surface of the water, regained my balance andr> continued to ski. Everything seemed okay, just a little bump, right? The next day I woke up and my whole world had been turned inside out. It’s difficult to even describe how much everything changed. Everything, and I mean everything was making me dizzy. My vision was impaired. My ears were super sensitive to every little sound. I’d pinch a hair on my face and that would make my nervous system go crazy. If someone walked by me and touched me I’d feel like I was going to fall over. Anything little thing would trigger the dizziness: lights, colors, smell, it didn’t matter. During this time I kept my job working on police cars. It became increasingly challenging. Anything that happened without warning would trigger the dizziness. Sometimes a horn or siren would go off unexpectedly in the shop. Sometimes the lights would go on suddenly. The sound of a buzz from a little electrical motor was more than my system could stand. All of these things would set me in a spin. When the sirens would go off or the lights would start blinking, I couldn’t handle it. I’d stand alone in a corner trying to get my bearings. I couldn’t even tolerate anyone trying to touch me, even when they were trying to help me. I told the guys that when this happens, it’s better to leave me alone because I can’t take the sensory overload when everyone is moving all around and people are touching me. All of the chaos disrupted my motor skills. I’d gone to so many different doctors and had test after test after test, most of which weren’t covered by insurance. We agreed that I was dizzy, had neurological difficulties and I had balance and vestibular problems, but all my tests came back normal and no diagnosis fit my symptoms so there was no known medical treatment or drug to alleviate my symptoms. I could walk fairly well balanced. But if someone talked to me or touched me while I was walking, it threw me into sensory overload and it made me lose my concentration and the ability to walk in this modified fashion. There were times I got so bad that instead of walking- I would have to crawl to get where I was going. After the first session I was totally amazed! I actually felt ‘normal’! I drove our car, which I hadn’t tried to do for a couple of months. I was so excited about feeling better that, I admit, I overdid it! Dr. Kimberly told me to rest and sleep so that I wouldn’t ‘rebound’ (go back to feeling the same way). Well, I admit I didn’t listen. I felt so great that I started working and I worked and worked. Guess what? I rebounded! After being treated again, I followed her recommendations and went to bed so that I would start healing- and I did heal. I noticed I wasn’t having the extreme sensitivity symptoms like I did before. I was getting better! I came the next week and had another treatment. I did very well for a couple of days, but I started pushing it again. I got a little tired from overexerting. I learned that, getting the treatments, resting, eating correctly and getting plenty of sleep was the “magical formula” for me to heal completely. After having spent four years with the specialists with no results, I now have been in treatment with Dr. Kimberly for only five weeks and I am feeling like a million dollars. I am doing all the recommended nutritional things she has advised me to do. I’ve been completely episode free! I know it sounds crazy to think that touching or moving a few little bones on the head just a little bit could make that kind of difference, but it did. I think it is important to stay open-minded and give all alternatives a try. *Update: Five years later, I have had no return of any of the sensory overload symptoms and I still feel great. I go in for “tune-ups” 3-4 times a year to keep me symptom free. Thank you Dr. Kimberly for giving me my life back.